I also 'pinned' this quilt and also added it to my list for 2019! It's certainly a versatile block which could be made in a variety of sizes! Beautiful blocks Julie, they will make a wonderful quilt. 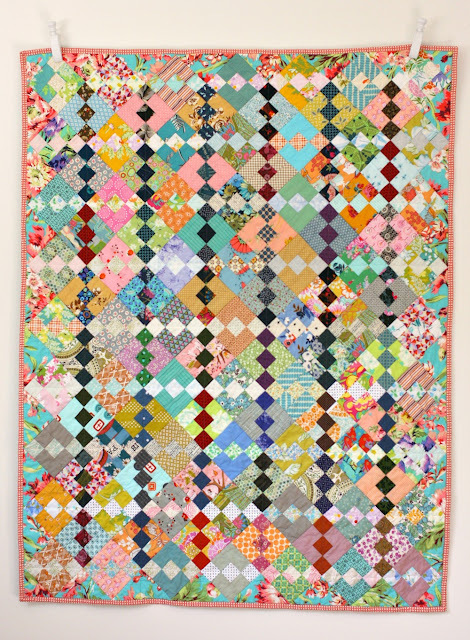 Yes, definitely a quilt for a little girl but also for an older girl - in fact this one appeals to me!! Beautiful, Julie! Hope you had a great weekend. Return of the 'Quilting Sewjo' ! I like that. Great choice, I'm going to find that quilt and get it pinned.